The Incan civilization flourished in ancient Peru between 1400 and 1533 AD. Their empire eventually extended across western South America, making it the largest ever seen in the Americas. Explore their incredible legacy on this 28 day journey. You’ll venture deep into the Amazon rainforest, into the heart of this untouched natural wilderness. The Sacred Valley is yours to explore before you summit the peaks to wander amongst the ruins of World Heritage-listed Machu Picchu. 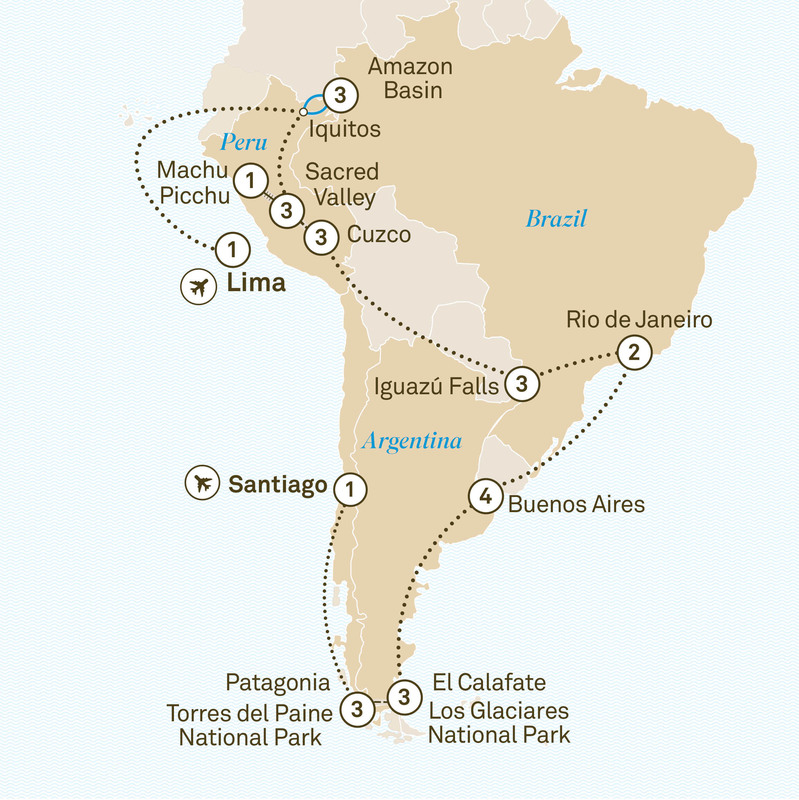 Visit Iguazú Falls, Rio de Janeiro and the spectacular Torres del Paine National Park in Patagonia.